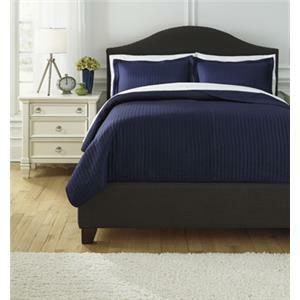 3-Piece Duvet Cover Set - includes Duvet Cover (insert not included) and 2 Shams. Woven Dot Pattern in Black and Natural. Cotton. Machine Washable. The Bedding Sets Queen Arturo Natural/Charcoal Duvet Cover Set by Benchcraft at Virginia Furniture Market in the Rocky Mount, Roanoke, Lynchburg, Christiansburg, Blacksburg, Virginia area. Product availability may vary. Contact us for the most current availability on this product. The Bedding Sets collection is a great option if you are looking for Bedding in the Rocky Mount, Roanoke, Lynchburg, Christiansburg, Blacksburg, Virginia area. 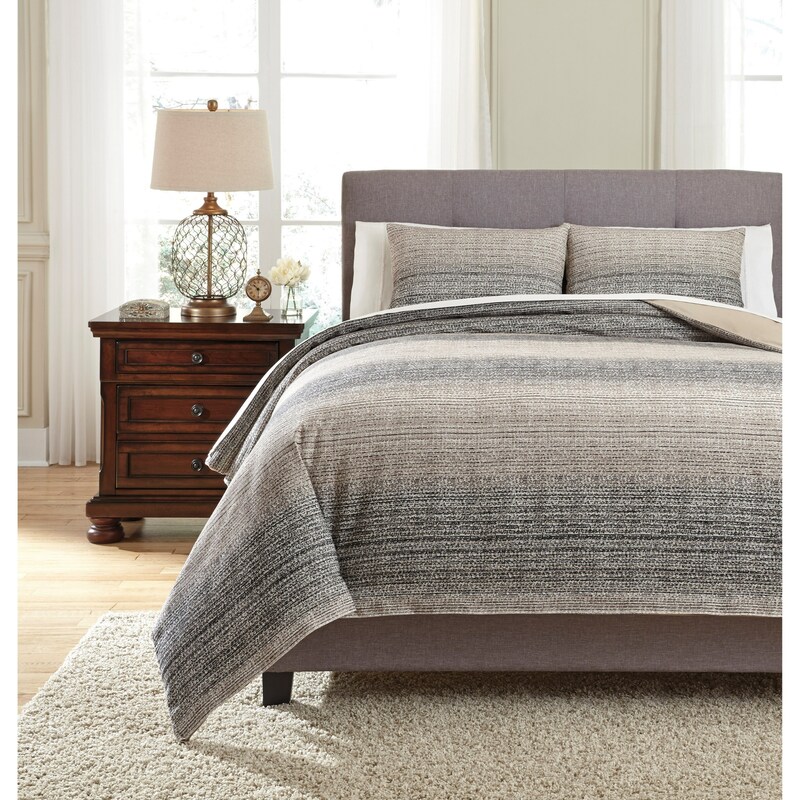 Browse other items in the Bedding Sets collection from Virginia Furniture Market in the Rocky Mount, Roanoke, Lynchburg, Christiansburg, Blacksburg, Virginia area.